Bridging the gap between the automotive-based Mattracks and the ATV-based LiteFoot lineup, the 65M1-.. 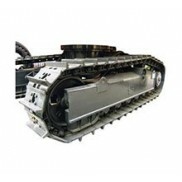 Specifically designed to fit Bobcat Toolcat. The first automotive approved system in the LiteFoot fa..
With its unique shape due to it's patented Boa Con-Track-tion System, EZtracks has the advantage of .. While the HD's are similar in appearance and share the same advantages to the EZ-UTV model, they are.. 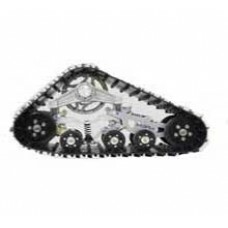 Extra wide track with paddle tread for increased flotation and traction in soft terrain as well as t.. Extra wide track with paddled tread, patented 2-link, double spring Shape Changing Suspension and ru.. Heavy Duty (HD) design featuring reinforced suspension and idler wheels along with an extra wide uti.. 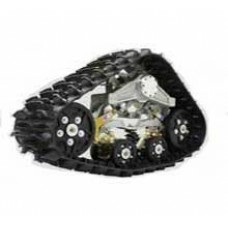 Extra wide track with paddled tread, patented 4-link, quad spring Shape Changing Suspension and rubb.. Extra wide track with paddled tread, patented 4-link, triple spring Shape Changing Suspension and ru.. 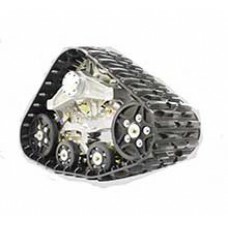 Designed for UTVs, it significantly increases the tracks area over other UTV track systems. 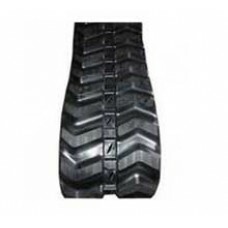 The pate..
Track System designed for non-driven axles such as utility trailers For Pull Behind Trailers &a..
Versatile aggressive tread with patented Double Link Shape Changing Suspension and rubber torsion an..
Versatile aggressive tread with patented 2-link, double spring Shape Changing Suspension and rubber ..